A whole lotta hands went into making this photo happen. 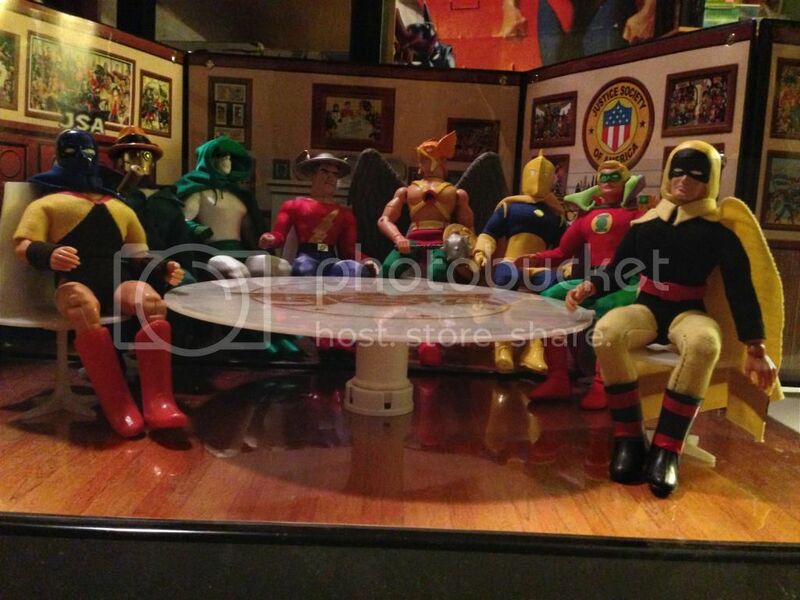 The JSA Brownstown playset is by The Toyroom. Spectre, Batman, Green Lantern and purple and yellow Sandman by Black Knight. Both Atoms, Mr. Terrific, Wonder Woman, Hourman, Dr. Midnight, gas mask Sandman, Dr. Fate are by Brian Leitner. Starman by Random Axe. 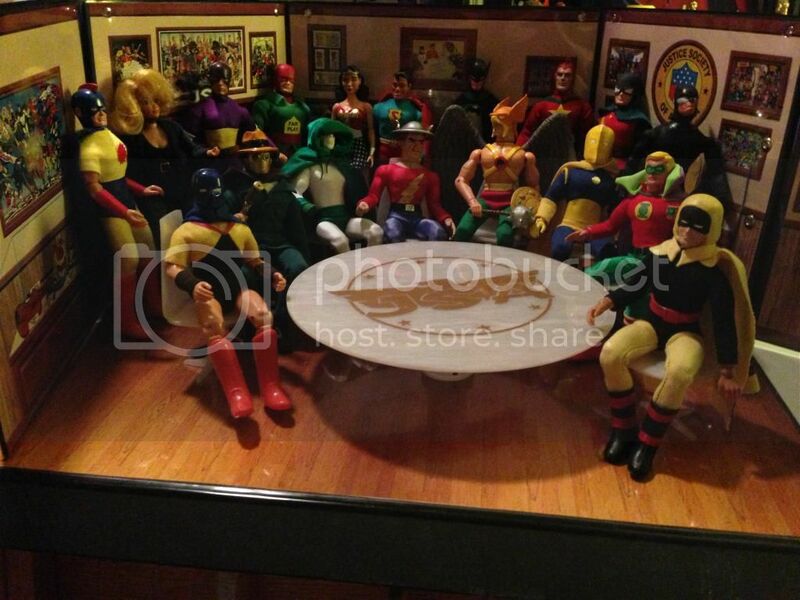 I don't know who made Flash and Hawkman. I cobbled Wildcat and Superman together with parts from various folks. The Superman costume came from David Lee. 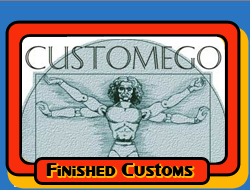 The table and chairs came from Paul Wasson with lasermego.com. Last edited by madmarva; Dec 5, '14 at 9:20 PM. That is an awesome set up and collection Terry! WOW!!!! My favorite comic of all time. Great Pic and Great customs. Thanks for sharing that AWESOME PICTURE!!! What an awesome collection! Fantastic photos! An Awesome group of figures!! !